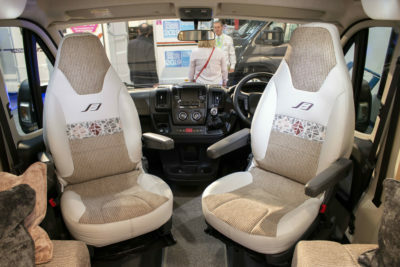 Bailey has expanded its motorhome range with the introduction of the new Bailey Alliance coach-built. It made its public debut at the Motorhome and Caravan Show 2018 and is available in six layouts, including fixed double bed and fixed single bed variants – with or without dedicated rear travel seats. 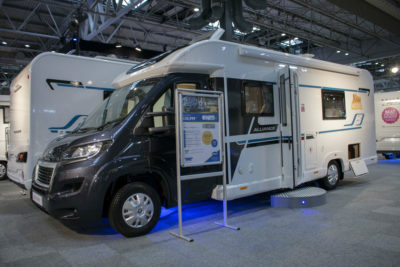 The Bailey Alliance is the middle sister of Bailey’s motorhome offering – sitting between the Advance and the Autograph. Externally, it stands out from the crowd with its dark Graphite coloured Peugeot Boxer Euro 6 cab, and all models have an MTPLM of up to 3,500 kgs, making them suitable to drive by anyone holding a full UK driving licence. 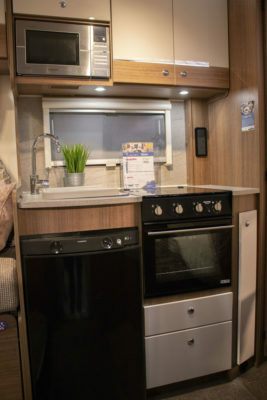 Bailey says it’s a motorhome for all seasons as the range includes a Truma Combi programmable heating system and insulation courtesy of their Alu-Tech bodyshell. Plus there’s a comprehensive equipment list, including a Fiamma F45 awning, a Truma 100 watt solar panel and a Status television aerial, all included as standard . As with its sister Bailey Advance range, all models have been assigned names using a number sequence identifying the length of the vehicle and the amount of dedicated passenger seats. So the 66-2 model is 6.6 metres long and capable of transporting two people. The line-up begins with the two-berth end washroom 66-2 and ends with the family-friendly six-berth 70-6 featuring a longitudinal drop down double bed. 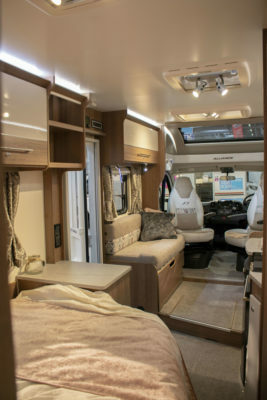 In between are the extremely spacious 76-2 and 76-4 models, featuring a longitudinal fixed double corner bed and a transverse end washroom with a choice of either twin parallel front seats (Alliance 76-2) or an L-shaped lounge with dedicated rear travel seats (Alliance 76-4). Completing the line-up are the 76-2T and 76-4Ts, featuring twin single beds with a transverse end washroom, also with a choice of either parallel seat front lounge (Alliance 76-2T) or an L-shaped version with two dedicated rear travel seats (Alliance 76-4T). Here we take a look inside the 76-2T. In the driving cab, there are fully adjustable front swivel captain’s seats with dual arm rests, a Peugeot Satellite Navigation system, air conditioning and engine cruise control all included as standard. Internally the Bailey ‘Eucalyptus’ finish furniture combines with the new ‘Natural Slate’ finish worktops and matching kitchen splashbacks, plus a choice of either ‘Portland’ or ‘Wandsworth’ soft furnishing schemes. Stay tuned for a full review of the Bailey Alliance in the coming months.